In my experience the typical path for jazz and improvised-music artists is to start out by experimenting and then, as they find their voices, solidify their practice—which in many cases means becoming more conventional, or at least more predictable. Norwegian singer Sidsel Endresen stands that template on its head. She became an international figure in the early 90s with a couple of beautiful albums for ECM that wedded folk-jazz a la Joni Mitchell to wide-open spaces, moody improvisation—trumpeter Nils-Petter Molvaer was part of her band then—and ruminative melody. That music holds up well today, but I wouldn't call it challenging. For the first decade and a half of her solo career she made records sparingly, but they were all pretty terrific. Then she took her art off the rails: On her astonishing 2006 solo album, Solo (Sofa), she deploys a wide array of unconventional techniques that she'd been developing or hinting at for years, including long windlike sibilances, choked consonants, clacks and clicks made with the tongue and lips, and an encyclopedia of glottal skitters. Sometimes actual words and phrases in English and Norwegian turn up in her rigorous improvisations, but they're used as sounds, not to convey meaning. With Sofa she all but demolished the music with which she'd made her name—as she's aged she's only grown more daring. Since that album she's appeared on records by Huntsville and Humcrush, but Endresen hasn't really let listeners experience her current heights—except for those fortunate enough to catch her live, either solo or in her terrific duo project with saxophonist Håkon Kornstad. In 2010 I saw the formal debut of her new project with exciting young Norwegian guitarist Stian Westerhus (a member of Puma and of Molvaer's current band) at the Molde International Jazz Festival. (They'd played a spontaneous 15-minute set together a year earlier at the Oslo Jazz Festival, but I'm not counting that.) 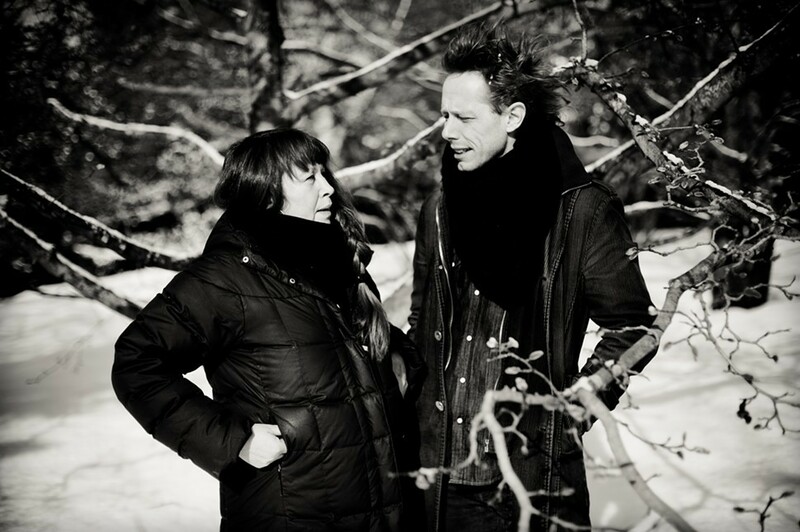 On August 14 Rune Grammofon will release the duo's debut album, Didymoi Dreams, recorded live at a jazz festival in Bergen, Norway, in May 2011. It's a stunning piece of work—some of Endresen's recent collaborators have been simpatico, but Westerhus seems like her perfect sparring partner. Westerhus looks like he's doing some kind of drunken jig during performances, constantly tapping the various effects pedals spread out in front of him. Sometimes he creates hypnotic, chiming soundscapes—though rarely as serene or smooth as the ethereal "Nordic" sound that dominates his homeland's jazz scene—but more often his music is turbulent, ominous, and even harrowing, with sudden eruptions and detours that require an improvising partner to be able to turn on a dime. He's met his match with Endresen, who can not only keep up but also push him around when she feels like it. I got to hear the duo earlier this summer in Kongsberg, and their set was more like an extended jousting match than a polite concert. Below you can check out one of the new album's most visceral tracks: Westerhus taps into his abiding love for metal with gut-punching stabs of sound and fractured, effects-curdled riffing, and Endresen matches his power and inventiveness. Sidsel Endresen and Stian Westerhus, "Wooing the Oracle"
Eight Reader writers tackle a dozen new releases, including John Carpenter's first music not for film, Aine O'Dwyer's improvisations on pipe organ, and a reissue of Del Shannon's 1968 psych-pop masterpiece.